Judging from the laws on the books, the government must view raw milk as a greater threat to public health than tobacco or alcohol. Federal law technically outlaws all interstate sale of raw milk, and many states ban its sale completely. Maine laws are more lenient but not altogether welcoming. Maine restaurants cannot offer raw milk, and the Maine government’s epidemic warnings at http://www. maine.gov/dhhs/bohepi/Dec%2000 characterize raw milk as the "perfect growth medium for a variety of disease organisms." If raw milk is such an unhealthy product, why is it such a big hit with health-conscious consumers? Ken Ayers, herbal nutritional educator at John Edwards Market in Ellsworth, reports that raw milk has been a huge seller since they’ve been carrying it. They can never order enough to meet demand. "We’ve got people going out of here with six or seven half-gallons of it," he says. The raw milk debate stems largely from a difference in opinion over its reported health benefits. Most mainstream nutritionists report little difference between raw and pasteurized milk. "There is no scientific evidence that the living organisms in raw goat’s or cow’s milk make it nutritionally superior to pasteurized milk," states the Baylor College of Medicine (www.bcm.edu/cnrc/consumer/archives/rawmilk.htm). Some nutritionists, however, believe the human body digests raw milk better; they say pasteurization changes milk’s fat and protein molecules, making it unrecognizable and indigestible by the human body. This can lead to health problems, they say, including unhealthy cholesterol buildup, lactose allergies and an immune response to denatured proteins. "[Lactose-intolerant people] are just having a problem with milk that’s not really milk," Ayers believes. "It’s like polyester versus natural." While detractors say raw milk is a bacterial breeding ground, raw milk supporters contend it’s safer than pasteurized milk. They point out that raw milk is designed by nature to be safe for newborn calves to consume. "Raw milk contains multiple, redundant systems of bioactive components that can reduce or eliminate populations of pathogenic bacteria," claims A Campaign for Real Milk at realmilk.com. The Campaign, a project of the Weston A. Price Foundation, says that pasteurization began in the 1920s, when poor animal nutrition (from feeding cows waste products from urban breweries, for example) and dirty production methods in confined spaces led to TB, infant diarrhea, undulant fever and other diseases. Modern equipment, standards of care and inspections, adds the Campaign, make pasteurization unnecessary, and pasteurization does not always kill harmful bacteria—such as that causing Johne’s disease in cows and suspected of causing Crohn’s disease in humans. Most confinement cows harbor this bacterium. Raw milk is higher in nutrients, continues the Campaign; while pasteurization, it claims, destroys some vitamins and has other harmful effects. The Campaign is working on standards for raw milk regarding animal care and testing; such standards would further ensure safety of the product. J.R. Crew, founder of the Mayo Clinic, wrote in 1929 of a "real milk cure" that he used for humans with compromised immune systems, such as patients with tuberculosis, heart disease and nervous system disorders. The cure consisted of fasting and drinking great quantities of unpasteurized milk. The results, he wrote, "have been so uniformly excellent that one’s concept of disease and its alleviation is necessarily changed." Raw milk producers don’t rely solely on raw milk’s reported bacteria-neutralizing benefits, however, but maintain proper sanitation and animal health as well. “Healthy cows produce healthy milk,” says Diane Schivera, MOFGA’s organic livestock specialist. 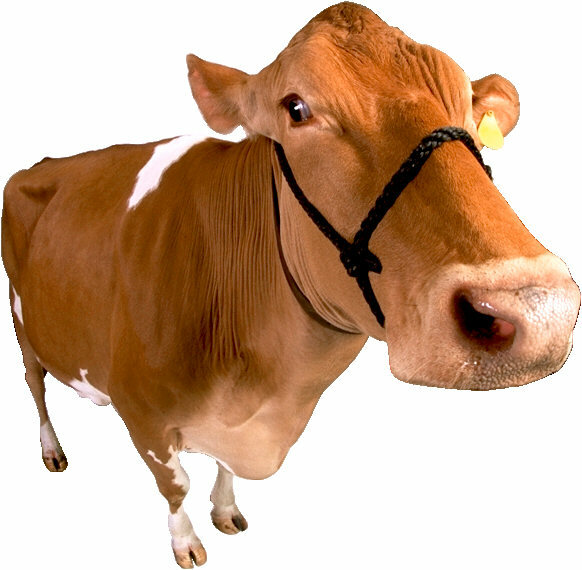 An animal with mastitis, for example, indicates a more general health problem; thus growers often use the California Mastitis Test regularly, or they get monthly reports about their animals’ health from the Dairy Herd Improvement Association. Larry Perron isn’t afraid of the raw milk he produces at his Morrill Farm in Sumner. He knows each cow in his small herd personally. If he suspects a cow is under the weather, he won’t use her milk. "I know if she’s having a bad day," Perron says. Raw milk has been a staple in his family’s diet since his father started dairy farming in the mid-forties. Perron “always drank raw milk because it was there. I never drank processed milk." The Perrons sent most of the farm’s milk to a pasteurizing dairy but always kept a little behind to sell. Large families that couldn’t afford pasteurized milk at the store came to the farm to buy raw milk directly. "There’s always been a demand for raw milk," says Perron. Eighteen years ago, Perron sold most of his herd and switched to selling raw milk exclusively. He said regulations for selling milk to dairies had grown cost-prohibitive, but he didn’t want to stop farming and he didn’t want to stop drinking milk from his own cows. "I was not going to buy milk at the store," he emphasizes. Another more-than-a-farm raw milk producer is Morris Farm in Wiscasset, a nonprofit, trust-run farm with hands-on agricultural programs for children and adults. Farm manager Meghan DuBois says the farm’s mission is to educate people about the value of local food and the importance of local farms. DuBois adds that selling raw milk makes good business sense for a nonprofit dairy farm. "This is a way for us to keep most of the profits.” The main drawback is the increased labor without the middleman: The farm is responsible for every aspect of production, from milking to delivery. Like Perron, DuBois also drinks raw milk. "I used to drink raw milk when I was little," she notes. "It has so much flavor!" While the raw goat’s milk that Sunset Acres Farm produces is widely available in natural food stores throughout the Maine coast, you may have to go through a screening process to buy it. Sunset Acres, co-owned by Bob Bowen and Anne Bossi of Brooksville, wants to sell its milk only to those with a medical need for it. "I ask the stores to ask their clients," Bowen says, because demand for his milk always outstrips his supply. Most of Bowen’s milk goes to making cheese, which commands a higher price. He sells the remaining milk to cancer patients, senior citizens, and families with lactose-intolerant infants. He is clearly proud of his milk, but highlights the “huge amount of pressure on us farmers to maintain animal health and sanitation.” Bowen’s employees dip goats’ udders into an antibacterial cleaning solution before milking, then vacuum-suction the milk through a filter and into a holding tank, so that it’s never exposed to air. Bowen’s farm has 110 goats, and he adds more each year. He typically employs people, often from the Ukraine, Mongolia and Brazil, who have worked with goats. While he’s been farming since 1990, he began selling raw milk only eight years ago. Business has been lucrative. His raw milk sells for $8 per gallon wholesale, and milk earmarked for cheese goes for significantly more. "It was a good choice at the right time," he concludes. Raw milk is a small niche in the milk market presently, says Stan Millay, executive director of the Maine Milk Commission, adding, "It’s not large enough to influence the marketplace.” But if anecdotal reports of raw milk flying off shelves ring true, that could change soon. Raw milk represents one sector of a rapidly-diversifying Maine milk market. Organic is another. When Shelly F. Doak began as director of Maine’s Division of Animal Health and Industry (AHI) in 1996, Maine had 19 certified organic dairy farms. This July, MOFGA listed 64 (see www.mofga.org). Doak adds that AHI does more than simply inspect farms. "We pride ourselves on providing…a lot of technical assistance." She suggests that those considering raw milk production seek help from the three Maine milk industry groups: the Maine Cheese Guild, Maine Organic Milk Producers or the Maine Dairy Industry Association. Diane Schivera, MOFGA’s organic livestock specialist, is also available to help. For more information, see www.maine.gov/agriculture/ahi and the Raw USA Web site, www.rawusa.org. You can find farms and other outlets for raw milk, listed by state and by country, at realmilk.com. The Morris Farm, Wiscasset; 882-4080, www.morrisfarm.org. Sunset Acres Farm, Anne Bossi and Bob Bowen, 769 Bagaduce Rd., Brooksville 04617; 326-4741; 326-0816. Little Falls Farm, Mary Burke and John Belding, 50 Walker Mills Rd., Harrison, 04040; 583-6047.Harrison. Goat’s milk. Townhouse Farm, 35 Townhouse Rd, Whitefield 04353; 549-5670. Goat’s milk. Garden Side Herd/Seventeen Chicken Farm, Kim Roos, Looks Point Rd., Jonesboro; 434-5089. Goat’s milk. Hollow Maple Farm, 1872 Stage Rd., Etna; 368-5605. Goat’s milk. Inch By Inch Farm, Route 219, Greenwood; 527-2775. KaTy De's Gallopin' Goats, Karen Cochran, 65 Clements Point Rd., Warren, 04864; 273-3165. Goat’s milk. King Farm's, Cher King, 143 School St., Weld; 585-2025. Goat’s milk. Old Oak Farm, Scott Belanger and Jennifer Maeverde, 222 Forest Ave., Orono 04473; 866-7719. Rosebeck Farm, E. Oxford Rd., S. Paris; 743-2905. Single Ox Farm. BlackGuard. Rebecca and Brian Sylvester, Waterford; (207)583-6451. Goat’s milk. Diane Schivera suggests checking local outlets and farms regularly for other sources of raw milk, since the above lists change occasionally. If you don’t find a source near you, she says to try asking a local farmer if you can buy raw milk at the farm. You’ll need to bring your own container for the milk, she adds. Adults with higher intakes of dietary calcium burned significantly more fat than those who consumed a low-dairy diet. Scientists at the University of Colorado published this result in the December 2005 issue of Obesity Research. When adults on a reduced-calorie diet exercised and consumed the recommended three to four servings of dairy foods daily, their metabolism changed and their bodies burned more fat compared with adults who consumed only one serving of dairy under the same conditions. Scientists suggest the calcium in dairy foods may suppress hormones that regulate the breakdown and burning of fat, leading to increased fat metabolism.